state Governor, Nyesom Wike, of militarising the recent elections in the state. He said the Nigerian Army was innocent contrary to Wike’s claims. Uchendu stated this in Abuja on Thursday during an interview with journalists on the crisis over the yet to be concluded governorship and state house of assembly elections in the state. 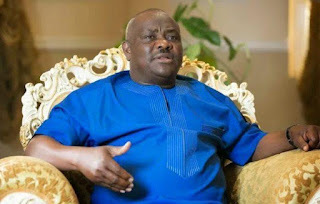 He alleged that Wike’s armed thugs in military uniforms carried out most of the killings and violent acts that took place in the state during the elections. “All the narratives out there including the one said by Senator Dino Melaye ( PDP Kogi West), on the floor of the Senate on alleged militarisation of the last general elections in Rivers State, were nothing but falsehood sponsored by Governor Wike,” he added.